Every penny raised will help to look after the cats and kittens in our care. 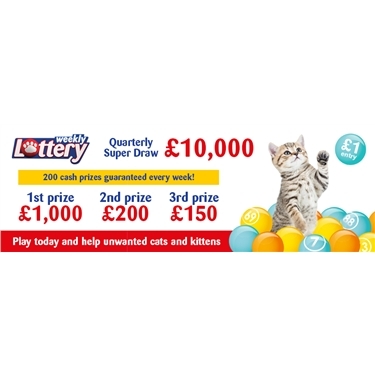 You will have a chance to win one of 100 prizes, including a weekly jackpot of £1,000. This is a fun way to raise funds and it is only £1 per week to play. This ensures that 100% of your donation will go directly to support our branch.